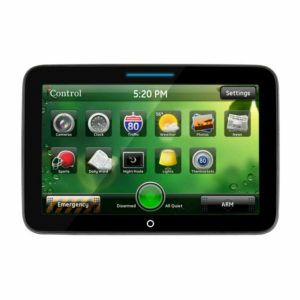 The 2GIG Wireless Touchscreen Keypad features a bright, easy-to-use LCD color touchscreen with the same user interface as the Control Panel. 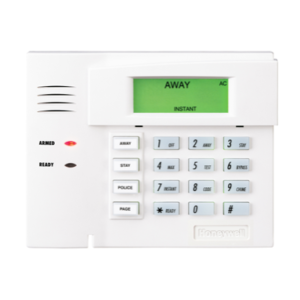 Up to four keypads can be integrated into a 2GIG system allowing users to have further access of their home automation and security devices while still offering the same functionality as the main control panel. 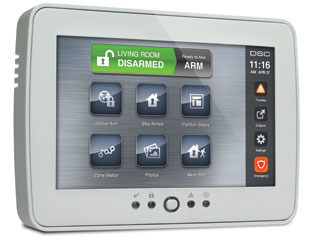 Like the GoControl Panel, this keypad controls connected 2GIG and Z-Wave enabled devices in a home with an up to 400 foot line of sight range and can arm and disarm the system. 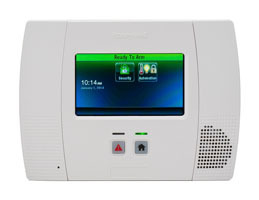 It also requires a transceiver before you can add it to the main keypad. 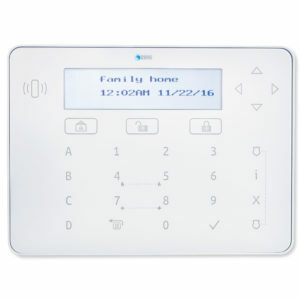 Like the GoControl Panel, this keypad controls connected 2GIG as well as Z-Wave enabled devices in a home with an up to 400 foot line of sight range and can arm and disarm the system. 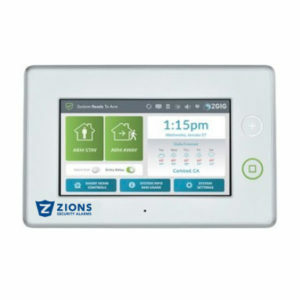 It also includes one-touch emergency and home screen navigation buttons, system alerts, status updates, chimes, date, and time. 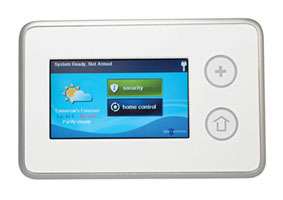 Additionally, this keypad is powered by an included AC adapter and requires an installed control panel running software version 1.8 in order to work. 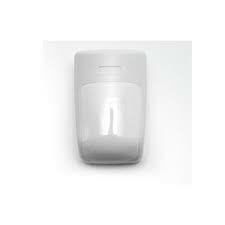 It also requires a transceiver before you can add it to the main keypad.